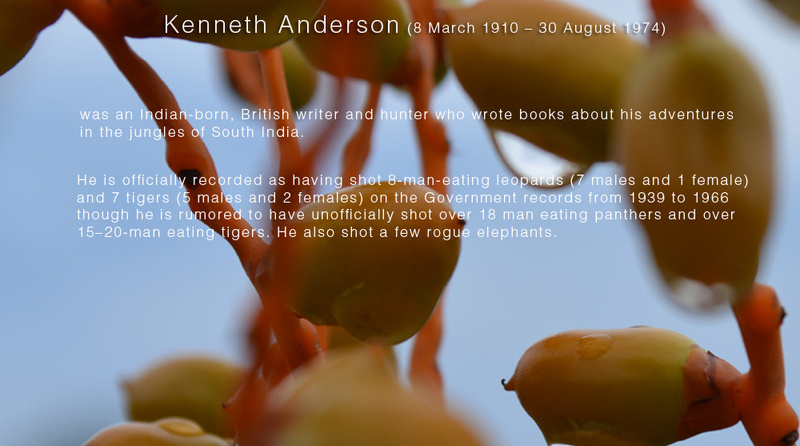 admin | Kenneth Anderson, The Hunter Conservator and the Inspiring writer! What happens when you immerse your thoughts with the spirits of the hunters of Old? That too in a land,where those spirits roamed in flesh, ages before..
Each time a Ford machine rolled in the path,the spirits awaken! Unless you are a Hunter and the year is 1950, Going to these places All Alone, are quite risky and your exploration will only be skin-deep. I will become a social person, when it comes to forest and associated risks. Again, convincing your friends for an old KA areas, (Just because, you’ve been bedazzled by his writing storm), is also not an easy task.. As, many ‘man eater’ territories he hunted are, not as famous, like Coorg and Nilgiris. Why would someone spend time in a parched forest? No one will jump and say ‘Yes’ to come along. I have taken extreme steps to get my friends on board. When we stayed in Aiyur forest lodge, we could actually feel the ‘eerie’ at night, wondering, how those starry nights, KA with his friend Eric, took a gooming in the spider valley, that too without weapons. 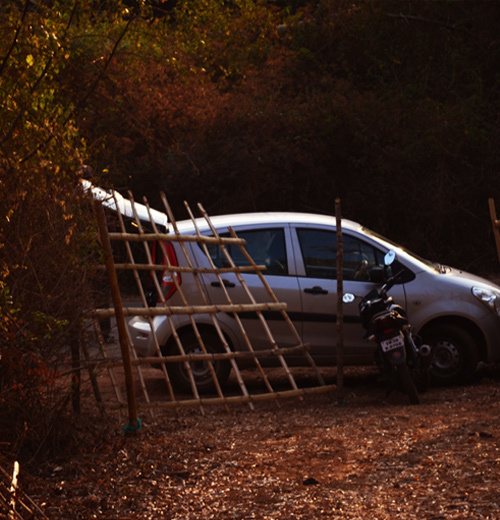 The Morning drive at kodakarai was an adventurous one, as the routes were not tarred at that time. My ‘drink and be merry’ type friends never anticipated the steep climb and curve; the thrill was really unexplainable. Kenneth mentions the kodakarai forest bungalow and the exiled afghan king’s statements while he stayed there. When you drive through those areas, you will re live and you will be a time traveler. People say, there is hardly any wild life in these territories…might be true, but what matters is, the topography. These places are still the same. Except, the villagers, now wear cloths and have Fanclub for actors. I have been planning to go to gundukottai, where the panther of sivanapalli narration incites. Somehow got hold of a Byra of 2018, eagerly would like to locate the panther’s exact cave where honey bees stung KA and his Dog. Let me be a detailed man.! Megamalai is a secret place until 2008, Though, this place is charming with natural abundance, the accessibility was restricted to private tea estates. The Roads were unusable and filled with stones, and were narrower. Recent years, the Government took over and the roads started improving and Finally IMPROVED! While Planning this trip, the first thing I have done was, Checking it in Team bhp touring Portal. I have read, that, the road was still bad. We took a chance and moved towards. Alto on the Move. Effortless driving! We Live in a dynamic world, your planning should be very quick. Otherwise, it won’t happen! I have convinced my three other local friends in a flash, by, telling them, it’s a day trip and we will come down as soon as we climbed up. But, My evil idea was to stay for a night, and, get to see the early morning mist. When you are trip organizer, you need to be a qualified liar as well. All agreed, and all of them got the go ahead from their spouses, and, offices where they work! First things first, The Road is New and beautiful.This is the latest update. Team bhp, Please update your forum. Plastic roads! Nice to move.But take small cars! No need of SUV. No shops en route! [ Later we found,that, there are tea shops], So we had packed the food from the megamalai base, called chinnamanur. All are Mobile phone clicks.No expectations this time! The Drive was very Good! In a blinking of the eye, we have reached the spot. Now the sight seeing! You have Dams built around! Have a wonderful walk. Megamalai is a water world! You can visit the Tea estates, and they will give you a grand tour. The beautiful scenes started showing up on the top of the hill driving. You wont believe that, you have arrived in 3 hour drive from Madurai, a city which formed by fire and brimstone. This unexplainable Joy can still be explained…The Wives are not around! The Estate bungalow, Tea factory and the wild life area are only accessible through A JEEP, OR AN SUV.Because,the road does not exist…you are expected to create a road and move.Hiring a Jeep would cost you a grand 2.5 k for a distance of 7 kms one way. If you are a gang of friends, You can stay in Government Buildings for a dime..But all of them are crappy abodes. Staying in Chinamannur or Theni and make a early morning visit to Megamalai is worth a billion dollors. If you are with a family, Then, Woodbrior bungalow will be superb!at a cost of 10k for 4 people. Before Hosur ,there is Attebelle. I was there for a project meeting some months ago., and it got over around 4.30 pm. Wanted to have a countryside drive,my colleague said yes!too.It was supposed to be a very casual half an hour drive. On the way, a farmer warned us of elephants,as it was getting late in the evening.He even said, a rouge tusker is on this route in nights. It was just an accident, that we reached Jowlagiri…otherwise i did not know this place except read in KA books. We took a small parcel of chicken pakoda from Jowlagiri shop and started driving further. It was all fun,but,as soon as the light started falling..and Sulekanta is actually a deep forested area even now.that, i had a strange fearful feeling. “My friend was so cool, since he had no idea who is KA and where we are going and what we may encounter, and the history of the place. I told him,that the temple idea is bad for this time.He said, it’s okay we just can have a glance and return quickly”. It was an eerie feeling and the road was kept going inside the forest, and sun light was almost gone. Before a kilometer to the temple, i have narrated the priest partly eaten story to my friend, and he was immediately frozen in fear and glued to the seat. The temple came, and it was so small one, that’s why,in that story KA said, all pilgrims were in front of the temple sleeping with the aid of camp fire. I just could not imagine,how he spent the whole night there! with the trumpeting sounds of elephant and a pitch dark jungle. It is so nice to read his stories, but once you are in that places, then, you need gallons of courage to keep calm. As for my friend, he stopped eating that chicken pakoda and was silent till we came back to the city.